Legislative Report (7 December 2006) Fall Session Proved NDP Must Go! Legislative Report (26 October 2006) Simple Solution to Rebranding Issue: Call an Election! 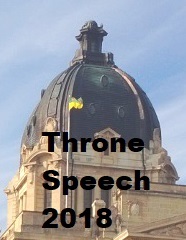 Legislative Report (28 September 2006) Do the NDP Believe in Saskatchewan?/Farewell Ben? Legislative Report (7 July 2006) Premier Challenged to Travel the "Fearsome Five"